I just LOVE those colors! Beautiful card! I love the colors and the use of the ribbon and grommets! I get so many great ideas from your blog, thanks for all you share! 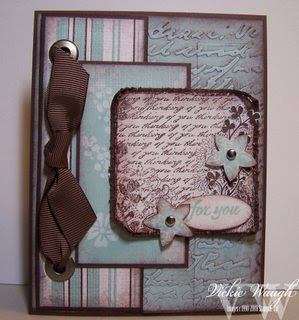 Clever idea with the embossing folder, it looks so effective.